Xhekpon is a brand of dermocosmetics for all skin types, especially the drier, with regenerative effects that counteract skin aging. All of Xhekpon anti-aging products have collagen as a main component, thus giving our skin a more youthful appearance, and filling and moisturizes the skin deep. Our skin is made up of collagen, a protein that is present in all living beings. Over time, the level of collagen decreases, as a result, the skin loses density and wrinkles appear. International Pharmacy highlight this product for its value. -Xhekpon Collagen facial wrinkle cream: Revitalizing, firming and moisturizing. We recommend it for normal and / or dry skin. Composed of collagen, gotu kola (stimulates collagen production) and aloe vera (regenerative and moisturizing). It is rapidly absorbed cream with a mild and pleasant fragrance. Its daily use prevents the appearance of wrinkles. -Xhekpon Contour eyes and lips: Revitalizing, firming and moisturizing. In cream. It composed primarily of collagen. Collagen Tonic -Xhekpon Flash: Protects the skin, skin softener, treats redness and irritation, relieves congestion and provides firmness to our skin. It gives us a flash effect. Collagen, hyaluronic acid, ceramides. -Xhekpon Solution: Blisters flash. Penetrate into the deeper layers of the skin, instantly revealing its natural beauty. firmer, luminous and hydrated skin instantly. -All Capillary Xhekpon: Shampoo and cream Kondenset Kondenset regenerating hair. Careful Xhekpon body: body firming cream with collagen Xhekpon. Xhekpon bath gel. You prots gel. -Cream Of hands: prots UD 35, collagen anti-aging cream and hand cream Xhekpon classic. 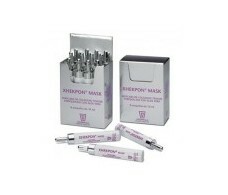 -Mascarillas facial aging: Xhekpon Xhekpon Mask and Mask 3 ampoules. Anti-aging face masks firming collagen. 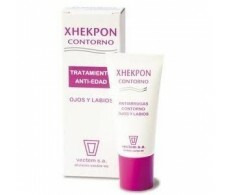 For the main indications, features and prices of products Xhekpon see our website, www.farmacia-internacional.net. If you're in Barcelona You can buy Xhekpon products also in our physical pharmacy: We are in the street Consell de Cent 312 Barcelona - you can also ask for advice from our team of pharmacist. Xhekpon Leche corporal fluida con colágeno hidrolizado 400 ml.